Weekly Focus: Bean Sleeping In? These enchiladas are unique for having no cheese or beans but with lots of vegetables. The nutritional yeast is optional but definitely worth finding at your local, healthy grocery store. If you make them there is enough here to make 2 trays so that you can freeze one for another night. Why wash the dishes and do all that cutting again if you don't have to? A food processor will make the job go quickly too. 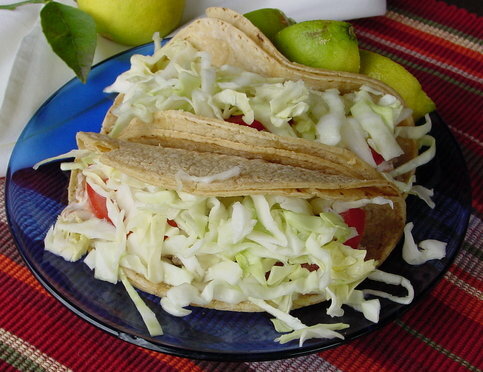 MEAL EXTENSIONS at the bottom gives some ideas for making other entrees with this recipe. Get excited dear heart because here come lentils and peas to save you with an abundance of folate and vitamin B6, both powerful heart protectors. 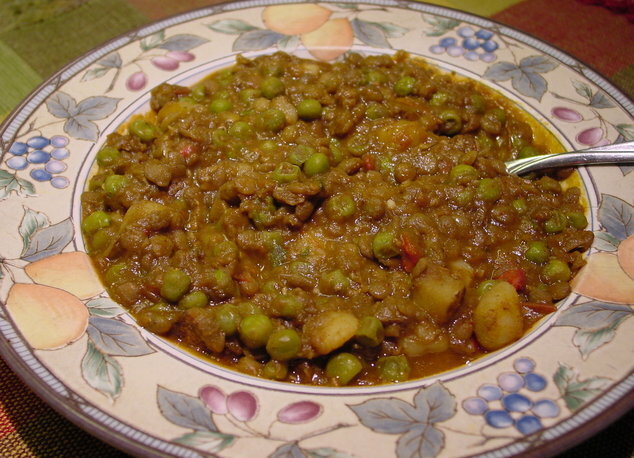 The lentils are also great suppliers of magnesium, which relaxes blood vessels, and peas bless the bones with an abundance of vitamin K in addition to their generous offering of super, anti-oxidant vitamin C.* It's so hearty and filling it feels like there must be meat in there somewhere, but the protein this time is completely plant based. PAIRED WITH FISH W/ WILTED SPINACH SALAD This recipe pairs with Fish w/ Wilted Spinach Salad. Make that first,and then use the leftover fish here. Today you don't even have to get a pan dinner to get a tasty dinner done in 20 min. Now that's the way I like it! It's like money in bank to think about having dinner finished and waiting for you while driving after school athletes around town, knowing that everyone else in the family is on their way home, and hungry. 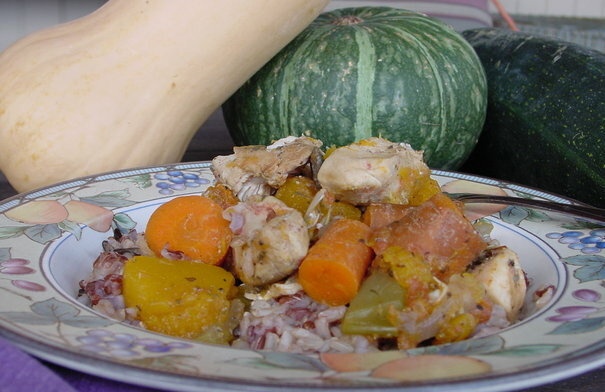 The rich supply of vitamin A in butternut squash(VIDEO) and carrots will combat the oxidative stress produced by exercise, and the lean chicken protein will provide amino acids for building new muscle fiber. Feel free to also throw in a bunch of diced, dark leafy greens of your choice. It's a winner. 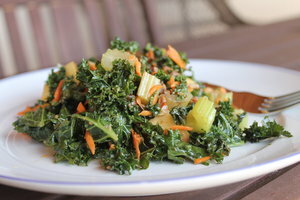 Here is another way to eat a lot of fresh kale and enjoy every bite full! It is best to make this first before preparing the rest of your meal to give the vinaigrette time to soften the tougher than lettuce kale leaves. As with any salad, add more of what you like and less of what you don't.